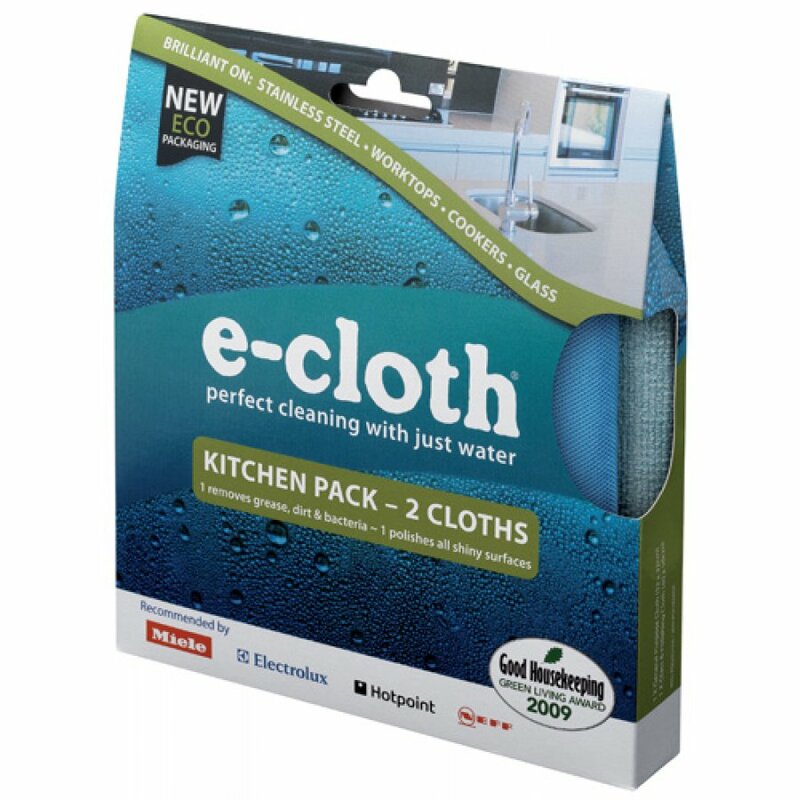 With absolutely no soap or harmful chemicals needed, all the E-cloth Kitchen Cleaning Pack requires is a bit of elbow grease! Eco-friendly, and completely free of harmful phosphates, optical brighteners, and other chemical agents, E-cloth cleaning cloths will save you money, time and is kinder to your family and the environment. Use the thick general purpose cloth damp on any hard surface, such as stainless steel, tiles, chrome, glass, marble or plastics. To finish polished surfaces like stainless steel or chrome, use the glass/polishing cloth. For mirrors or any other glass surface, spray water then wipe. Contains; 1 General Purpose Cloth, 1 Glass/Polishing Cloth. 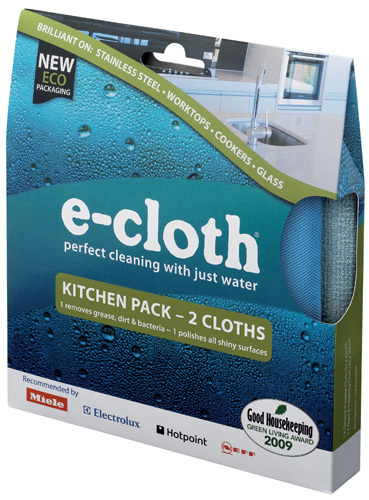 The E-Cloth Kitchen Pack product ethics are indicated below. To learn more about these product ethics and to see related products, follow the links below. Very happy with this purchase. rnrnI use them regularly for my wooden worktops, windows and mirrors around the house. My uses so far include 2x big house-hold cleans and 2 months of everyday use. I have washed both numerous times in a normal wash with no problems. There is a useful scratch pad for stubborn stains :)rnrnI'm very happy with the fully-recyclable, zero-plastic packaging.rnrnLove this purchase and highly recommend. There are currently no questions to display about E-Cloth Kitchen Pack.